John Rowan was born in Wiltshire’s Ford Hospital on 31 March 1925, starting life in the Old Sarum RAF station. His father’s RAF officer occupation meant regular moving from station to station, with John living in 30 different places by the age of 30. John had a long and varied life. He was not always a psychotherapist (his eventual profession), nor a transpersonal guru, having had various jobs and career-starts in acting, telecommunications, salesmanship and clerical work. While doing army service in India, he became interested in Spinozan and Hegelian philosophy, and later in mysticism. Influenced by the artist Harold Walsby, when back in England he joined the Socialist Party and became editor of its journal, undertaking a series of poetry books with Bob Cobbing as part of the Writers Forum. Poetry was to remain a lifelong interest for John, and he also dabbled briefly in acting in Arena Theatre, playing the part of Krapp in Samuel Beckett play Krapp’s Last Tape. After the second world war, the roots of John’s career in psychotherapy and transpersonal psychology began when he took the London University Diploma course in Sociology, gaining awards in psychology and philosophy, and with an essay being published in Penguin Science News in 1956 – his first prose publication. His academic and professional career were to be varied, also taking ‘A’-levels in Logic and English Literature, and then pursuing a Philosophy and Psychology degree at Birkbeck College, University of London. By this time John was married, had four children, and was working very successfully in consumer research. John was active in community politics in the 1960s, joining the Camden Movement for People’s Power and helping produce their magazine Red Camden, living for a time in a political commune. These were radical times at the end of the 1960s and early 1970s, and it was then that he started writing in earnest, being commissioned to write a four-volume textbook on social psychology. In June 1969 John saw Paradise Now, by the Living Theatre at the Roundhouse – a highly political play with a spiritual aspect drawing on the Kabbala and Tantra. One of the lines in the play was ‘Form a cell’; so with friends Ulli McCarthy and Keith Musgrove he formed a group called ‘B NOW’ – the ‘B’ standing for ‘Best society humanly possible’. John then started studying groups, attending encounter, gestalt and psychodrama groups, Tavistock groups (about which he wrote 38 poems, later published as existential research), psychosynthesis groups, T-groups, bioenergetic groups, movement groups… – and in due course he discovered the Association for Humanistic Psychology (AHP), which he found very congenial. Within two years, he was its Chair. John’s first book, The Science of You, based on London University Extra–Mural Department lectures, came out in 1973. He also joined the Council of Group Studies Diploma course at North London Polytechnic, gaining his Diploma in Applied Behavioural Science in 1975 – John’s first introduction to one-to-one (co-counselling) work. He became involved in the co-counselling movement set up by Harvey Jackins, and then became very enthusiastic about Primal Integration. He was soon to write his iconic book Ordinary Ecstasy: Humanistic Psychology in Action (1976; 3rd edn, 2001), a milestone of his progress to that point. In 1977 at the first congress of the European Association for Humanistic Psychology, John initiated the New Paradigm Research Group, pushing forward his insights on research methodology, leading in turn to the path-breaking co-edited text Human Inquiry: A Sourcebook of New Paradigm Research (1981). By this time John was on the training staff of the pioneering Institute of Psychotherapy and Social Studies (IPSS). 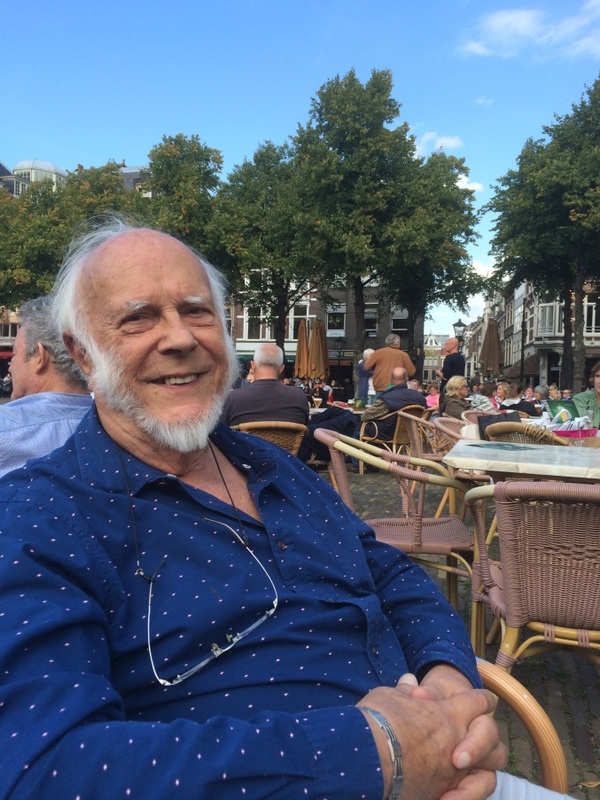 John helped found the Association for Humanistic Psychology Practitioners (UKAHPP) in 1980, dedicated to accreditation and professional standards across the humanistic therapy approaches. He attended the early meetings of the Rugby Conference, later to become the UK Council for Psychotherapy (UKCP), attending the yearly meetings for 14 years, up to the publication of the UK’s first Register of Psychotherapists. His 1983 book The Reality Game focused on how to be a humanistic counsellor or psychotherapist (3rd edn, 2016) – a rich treasure-chest of myriad ideas and sources. From 1982 onwards he was acquiring a new appreciation of spirituality, meditating daily from then onwards. John was a disciplined meditator for many decades, helping him to articulate and write about the differences between various levels of consciousness – the gross, subtle, causal and nondual. He found Ken Wilber to be the best guide to ‘the transpersonal’, for which he became a central exponent in the UK. Some years later, the British Psychological Society (BPS) founded a Consciousness and Experience Section and a Transpersonal Psychology Section, which he joined, soon becoming a frequent contributor to the annual conferences of the BPS Transpersonal Psychology Section, and to the journal Transpersonal Psychology Review. John combined this interest with his continuing commitment to sexual politics, informed by his study of paganism, linking feminism with paganism – a core theme in his book The Horned God: Feminism and Men as Wounding and Healing (1987) – and contributing to the magazine Wood & Water, and later to PanGaia and Green Egg. He was very involved in the men’s movement and its magazine Achilles Heel, and he teamed up with feminist psychotherapist Jocelyn Chaplin to form The Serpent Institute. Then in the late 1980s John co-edited the seminal book Innovative Therapy in Britain, with Windy Dryden, another therapy-writing polymath. In 1995, for his 70th birthday John received a Festschrift organised by his wife-to be, Sue, and in 1997 his classic book Healing the Male Psyche: Therapy as Initiation (1996) articulated his interests in feminism, spirituality and psychotherapy, using a unifying framework derived from alchemy. John and Sue were married in North Chingford in 1997, and he was made a permanent honorary member of the UKAHPP. Then in the late 1990s, he wrote The Plural Self: Multiplicity in Everyday Life with another of the therapy world’s polymaths, Mick Cooper. In 2001 John started combining his transpersonal work with new work on subpersonalities, leading to a series of workshops and the master classes starting in 2005. In 2006 he was awarded his Ph.D. by Middlesex University for joining the idea of subpersonalities with the transpersonal. He discovered the idea of the Dialogical Self, with ‘I-positions’ representing a theoretical advance on the notion of subpersonalities; and his book Personification: Using the Dialogical Self in Psychotherapy and Counselling duly appeared in 2010. At this time he was applying and writing about Ken Wilber’s AQAL model in relation to psychotherapy, leading workshops in Estonia, and giving keynotes, lectures and workshops in many countries. John was a very regular contributor to the AHP’s journal Self and Society (International Journal for Humanistic Psychology) right from its inception in 1973. Another notable honour was that Self & Society dedicated its Winter 2014 edition to an appraisal of John’s work, presented to him as a Festschrift at his 90th birthday celebration at London’s Open Centre, and making him Honorary Life President of the association that he loved and did so much to help found and support. The Festschrift issue contains a series of fulsome appreciations of the man and his many seminal contributions to the field, as well as a full bibliography of his great number of contributions to the journal from 1973 to 2014. John will be keenly remembered, not least, for his radicalism, for his keen passion for research, his love of poetry, and his commitment to non-patriarchal human growth and human potential. Born a generation too early to be a part of the 1960s ‘hippy’ generation, he certainly caught (and helped to propel) the wave of intellectual and political radicalism that swept the Western world in the 1960s and 1970s, bringing these exciting innovative ideas to the therapy world in his many writings, conference addresses and workshops. John was still writing, speaking and practicing as a transpersonal psychologist and psychotherapist at the age of 92 in the year before his death. Remarkably, he signed a new book contract not long before he died, and right up to his final years, John was still writing and giving workshops and international conference presentations. He could be called a ‘cartographer’ of the whole therapeutic world; and he told close colleagues that in many ways he was a bridge-builder, and that this is how he would most like to be remembered. John is survived by his wife Sue, by his four children, Ross, Peri, Nicky and Shaun, by his four grandchildren, Jaron, Zoe, Cassie and Danny, and by one great-grandchild.